Dyson and Hoover are both well-known in the vacuuming space. Both brands boast high tech features with innovative designs, but which one offers the best vacuum and the best value for money? Canstar Blue details all the specs you need to know on a number of different models to help you decide. Handstick vacuums are taking over, so you can say goodbye to tripping over the cord and replugging it from one room to another. A cordless handstick combines the ‘compact’ design of a handheld vacuum with the reach and power of a canister. 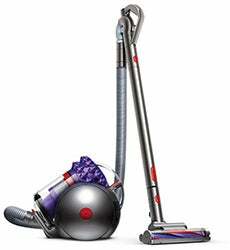 Here are the latest models that Dyson and Hoover offer. The V10 cord-free vacuums are said to be Dyson’s fastest and most powerful cordless stick vacuums. The total run time is claimed to be up to 60 minutes, which applies only on the powerful suction mode with the non-motorised tool attached. The time decreases with the boost mode. These also have a large 0.76L dust bin capacity, so you can vacuum for longer. These models can detach into a handheld, providing you a 2-in-1 design. The vacuuming attachments include Dyson’s Direct Drive cleaner head, combination tool, crevice tool, mini motorised tool and soft dusting brush. Dyson’s ‘Absolute+’ model also features an additional soft roller cleaner head, accessory bag, Flexi crevice tool and extension hose, which adds to the price. 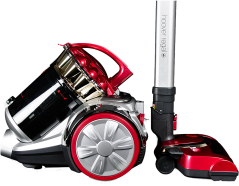 Both models weigh just over 2.5kg, making them extremely lightweight as far as vacuums go. However, with a price tag of almost $1,000, it would be wise to way up your options before jumping into any big purchase decision. The Hoover React Advantage Handstick is boasted for its FloorSense Technology, said to detect a change in the floor type and adjusts its settings accordingly – from carpets and hard floors to stairs and tiles. 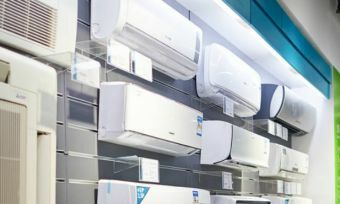 It offers up to 23 minutes of runtime, so for smaller apartments this might suffice, but for larger homes, you might like to purchase an additional battery that you can swap out for once the first one runs out. It features a ‘Brush Off’ mode claimed to prevent dirt and debris scattering on hard floors, while the ‘Brush On’ is aimed to keep the brush on high-speed to remove deeply set-in dirt. It has LED headlights to illuminate hard-to-see areas. It also has a detachable handheld design for easy access to nooks and crevices. You can find the cleaning mode, power level indicator and system management via the Hoover Dashboard for convenience. An iconic feature of Dyson vacuums is the ball design. The streamlined profile packs most of its technology inside the ball, aimed to make it easy to steer around the home. Dyson’s most expensive upright model is the Ball Animal vacuum, designed for homes with pets. It’s boasted for Dyson’s most advanced Radial Cyclone technology, with improved flow efficiency, claimed to reduce turbulence and preserve air pressure, so more microscopic particles are extracted. These refinements are claimed to help maximise suction power and remove more dust, allergens and pet hair compared to its predecessors. This has also allowed it to be accredited by the National Asthma Council (AUS). The Dyson Ball Animal also features a self-adjusting cleaner head – for carpets and hard floors. Typically, cleaner heads need to be manually adjusted for different floor types. If it isn’t switched between floors, it creates a gap between the cleaner head and the floor and in turn, loses suction. The Dyson model has an active base plate that automatically raises or lowers depending on the floor type and is claimed to maintain close contact with the floor at all times. It has a 2L bin capacity with a hygienic emptying design, as stated by Dyson. Just one push of a button and it releases the dirt inside. It has a 10.7m power cord with an instant release high reach wand that extends to 15m for any hard to reach areas. It’s 11.19kg in weight and comes with the following tools – combination accessory tool, stair tool and tangle-free turbine tool. Hoover’s Essential Upright Vacuum is a mid-range model with a bagless design – like that of the Dyson Ball Animal. It has a 29cm motorised power head aimed to lift carpet fibres as you clean. With this wide brush bar, it aims to pick up more with each pass. It has a quick release system for the power cord, plus its wand can be detached to clean furniture and hard to reach areas. The dust bin is slightly smaller than Dyson’s 1.6L bin capacity, but it’s boasted to have a hygienic and easy to empty design. Additional accessories include a crevice tool, dusting brush and an upholstery tool. The Dyson Cinetic Big Ball Animal ($699 RRP) features Dyson’s ball design, allowing it to get back up when toppled over. The wand’s handle rotates in three directions, allowing for 360° articulation for additional control. It has a carbon fibre turbine floor tool, stated to pick up fine dust with stiff nylon bristles to help remove ground-in dirt. There’s no need to wash or replace filters and you can empty trapped the dust and debris with one simple push of a button, similar to other Dyson models. It has a 6.6m power cord and extends up to 1250mm to clean hard to reach places. Accessories included are a combination tool, stair tool, swivel hard floor tool, tangle-free turbine tool for pet hair. Total vacuum weight is 11.04kg. The Hoover Regal Power Head Bagless Vacuum is boasted for an advanced, premium self-propelling powerhead, which lifts carpet fibres to help remove deeply embedded dust. It has a washable HEPA carbon filtration system, claimed to ensure 99.97% of dust and allergen triggers are vacuumed up. The carbon filtration layer is also said to trap odours during cleaning. It has a 1.75L dust bin capacity with a one-touch empty system. To allow you to vacuum from floor to ceiling, it comes with an 11-piece Hoover accessory kit. This is claimed to provide versatility in cleaning carpeted floors, hard floors, furniture, bookcases, mattresses and much more. Tools supplied include a combination floor tool, a ‘Mega Gulper’ hard floor tool and a hard floor specialist cleaning tool. There’s also a pet hair hand turbo tool, which uses an air-powered brush to lift hair off surfaces, ideal for pet hair and upholstery. Plus, you’ll find a Hoover mattress tool. Handheld vacuums are designed for the small cleaning tasks around the home. Whether you’ve spilt breakfast cereal on the kitchen bench or perhaps your car is filled with sand after a beach trip – then you might like to have a handheld vac handy. However, these typically have shorter runtimes, so it would be wise to weigh the pros and cons. This unit is boasted for Dyson’s 2 Tier Radial cyclones system which features 15 cyclones, arranged across two tiers that work in parallel to help increase airflow and capture fine dust, according to the brand. It provides up to 20 minutes of run time, but this decreases with its Max power mode that provides just 6 minutes of higher suction power. It requires 3.5 hours to recharge. It has a lightweight design with a total weight of 2.46kg. You can release the dirt from its bin with one push of a button, similar to other Dyson models. Expect 100AW of suction power on the boost mode and 28AW on the normal setting. The 18V Pets Plus Handivac features a standard bagless design with portability in mind. It’s aimed to remove pet hair and dirt from hard floors, tiles, carpet, stairs and furniture. According to the Hoover guide, this model has around an 8-12 minute runtime, with a minimum recharge time of 6 to 8 hours. It comes with a charging base, as well as a number of attachments. These include a crevice tool and extension tubes for hard-to-reach areas, plus a soft brush for delicate dusting tasks, including window sills and shelves. Dyson vs Hoover: Who offers the best value for money? It’s evident that Dyson is a premium brand offering vacuums with additional features and technology, but it doesn’t mean that Hoover’s vacuums can’t do the job. Both will provide you with cleaning ability, however, at different price points. If you’re leaning towards the budget end, then perhaps Hoover is up to the task. Design is also just as important to consider, and when looking at both brands, you can see a number of similarities. Dyson and Hoover vacuums also come with various attachments to help with different tasks around the home. Depending on how you use your vacuum – and if you’re looking for a specific tool or feature – you may like to choose accordingly. To see what Aussies think of a number of vacuum brands including Dyson and Hoover, follow the link below to our ratings.